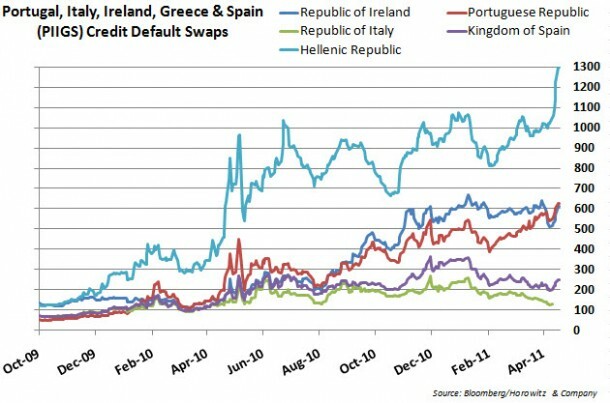 Loan Sharks Rejoice – Greece 2-Year Notes at 20% ! 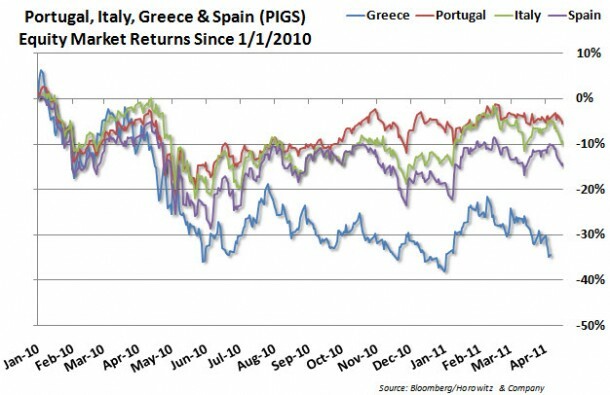 Investors in Greece celebrated today. They were awfully happy that their governmental was able to go to the open market and float 2-year notes at a yield of 20%. What a deal!!!!! The news was simple from Briefing.com: Greece conducted a successful 3-month Bill auction today, selling a greater-than-expected 1.625 bln euro at a yield of 4.1%, only 25 bps above the prior sale despite fears of a restructuring. With that, Greece’s ASE is leading European markets, up 1.8%. The cost to insure the debt of Greece from default has risen to a record high. So, either their are some very happy loan-sharks out there or there is simply no fear that bondholders will have any downside risk as long as Germany is there to support Greece.